Those little birds popped out of their eggs to tell you that I miss you! Miss you too! Love springtime. 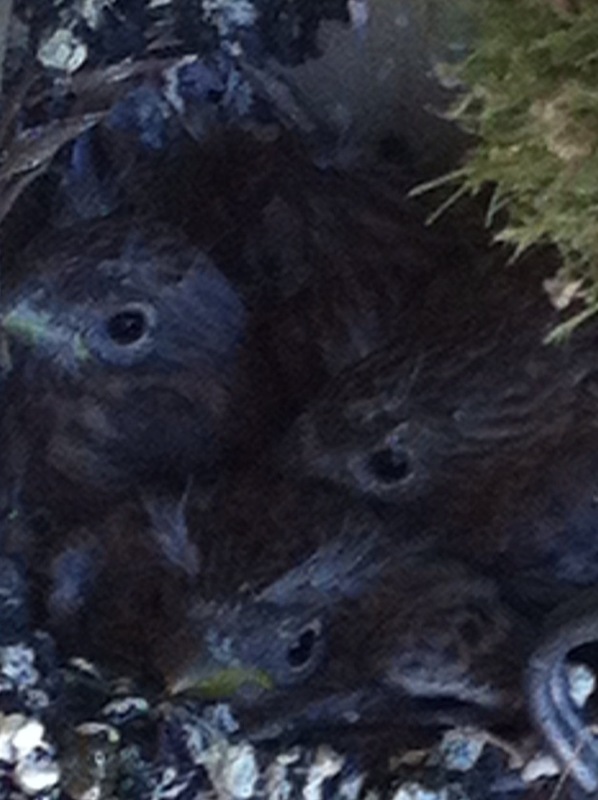 This nest was right outside the back door, on top of garden tools, where I was able to look down upon them. 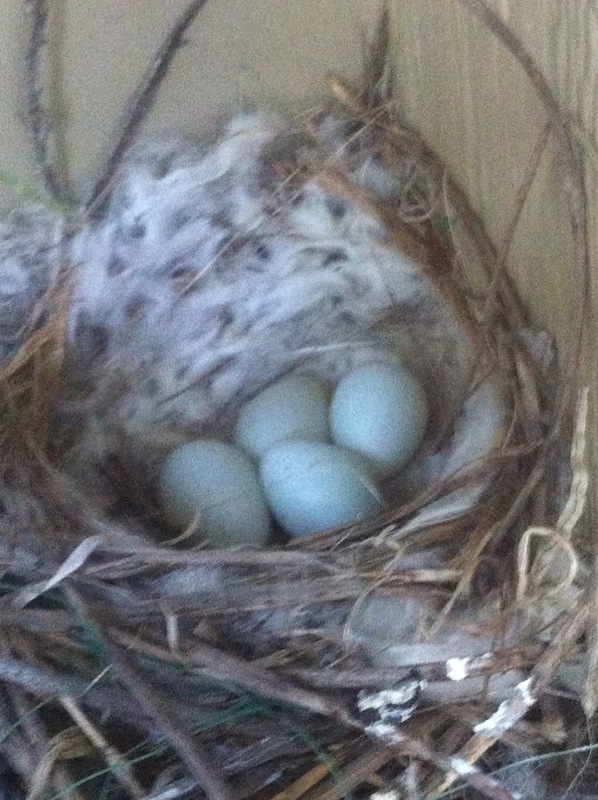 Only two weeks from when I first noticed the eggs until they hatched. Soon they will fly their coop. So cool that you got to watch this! Next up, flying lessons.